Moe is a small city located in the state of Victoria in the southern part of Australia. This city is in the Gippsland area and falls within the federal division of McMillan. Before the arrival of the Europeans to this area it was inhabited by the aboriginals. It is assumed that the name of Moe is also derived from an aboriginal word. Initially the city was known as ‘The Mowie’ and later ‘Little Moi’. Then it was known as Motown for sometime before the current name Moe was in practice. There are only about 16 thousand residents in this town and there are people from various parts of the world living here. The administration of the city is conducted by the Latrobe City Council. There are nine councilors currently in this council and the council is divided into nine wards. After the discovery of gold in the vicinity of the city in the mid nineteenth century the city of Moe was established. Though the town grew up a century ago, it got a status of a city only in 1963. The city apart from gold also became famous for the dairy industry and power industry. The climate of Moe city is temperate type of climate. The average temperature is 25 degree Celsius during the summer and in the winter season the average temperature is about 13 degree Celsius. The city of Moe is very near to Melbourne and it takes only one hour and thirty five minutes to reach Moe from Melbourne. Morwell is only about 15 minutes from Moe. The city is connected to Melbourne via rail and the Princes Highway. Latrobe Regional Airport is the nearest airport of the city and it is only about twenty minutes from Moe. 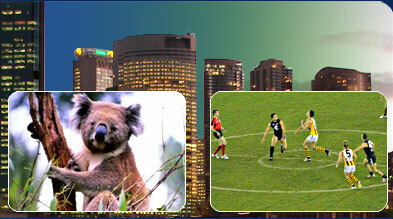 The tourists in Moe city can visit various parts of the Gippsland region. Both rural life and the lifestyle of a small town can be experienced here. There are a number of national parks and lakes in this region to explore. A hike in the bush reserves and witnessing the exotic flora and fauna can also be an experience in itself. The two events during which the city must be visited are the Moe Jazz Festival when the whole town comes to life. Moe Racing Club is a famous horse racing club of the city. Bauer Haus is famous café and restaurant in Moe apart from this there are also a number of restaurants.